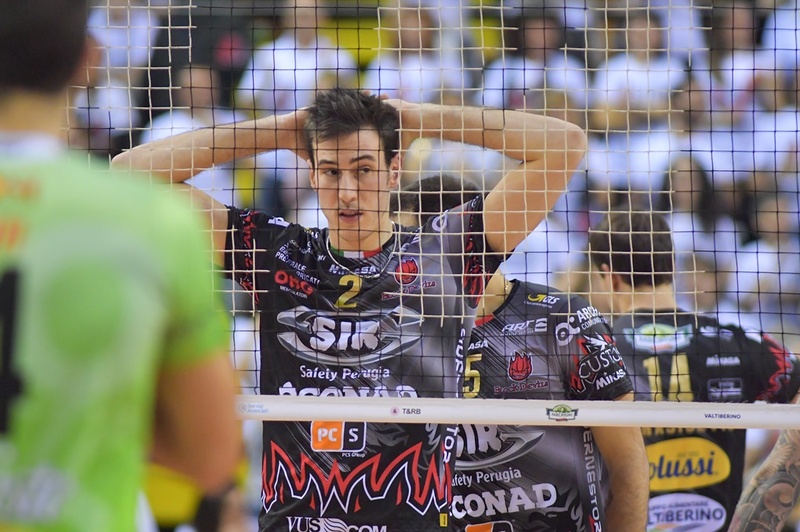 Current A1 champions Sir Safety Perugia has announced in its official website that it has extended ties with Italian national teamer middle blocker Fabio Ricci. The soon to be 24-year-old is set to undergo his 8th professional season, all of them spent in Italy. As a back-up in Perugia’s title run, he was very effective in his limited playing time, hitting at 65% and helping with 0.6 blocks per set. “As a personal ambition, I have to work to find my space on the court, to highlight my qualities and to repay the trust of the team. But of course in the first place there are ambitions and team goals that are always the same, that is, take to the court to win. After having conquered it all last season, we start again aware that it will be even more difficult. To repeat must be our goal and we will work from the first day according to this “. Ricci won a silver medal at the 2015 FIVB Grand Champions Cup with the Italian national team. That goes to show that with that kind of young talent in its bench, let alone players like the newly-signed Wilfredo Leon, Perugia’s squad is 12-player deep.